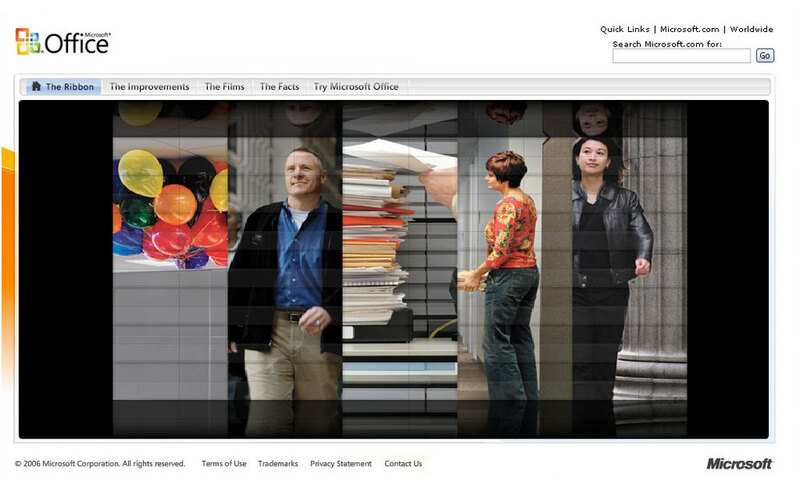 The campaign for the new version Microsoft Office needed a special touch and Exopolis was called in to provide a distinctive look to the motion design. McCann SF came to us in the early ideation phase to collaborate on the the look and feel of the animation and for some production power to help sell the idea through to the client. We created animations that reference the flipping action of old clock radios and train station timetables that were eventually deployed to a bevy of media channels. Additionally, we designed animated and coded the Films section of the campaign site.